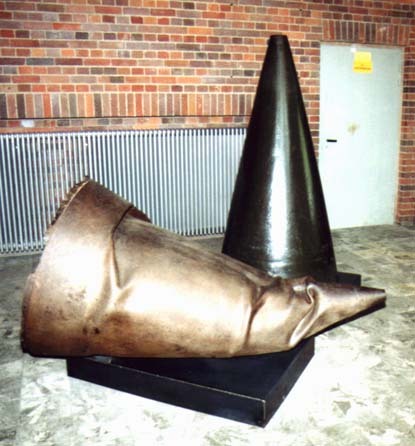 The "Historic Technical Information Center" (HTI) is devoted to the history of Peenemünde in the Third Reich, to the secret weapons development and the history of rocketry. 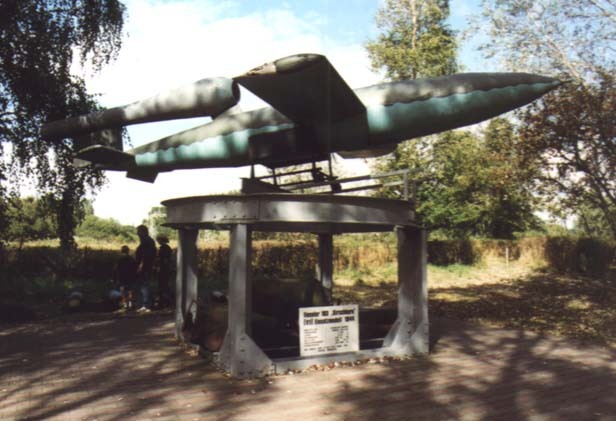 At the 10 hectare open-air grounds you can see air planes, helicopters and a rocket ship from the NVA fleet among modern rockets. The museum was founded in 1991 and is one of Germanys most-visited museums with about 300,000 visitors per year. 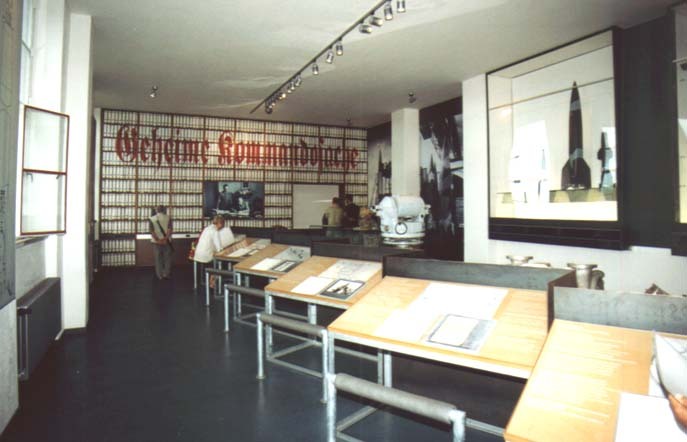 In 2001 the museum has moved into the old Peenemünde power plant with a completely new exhibition. 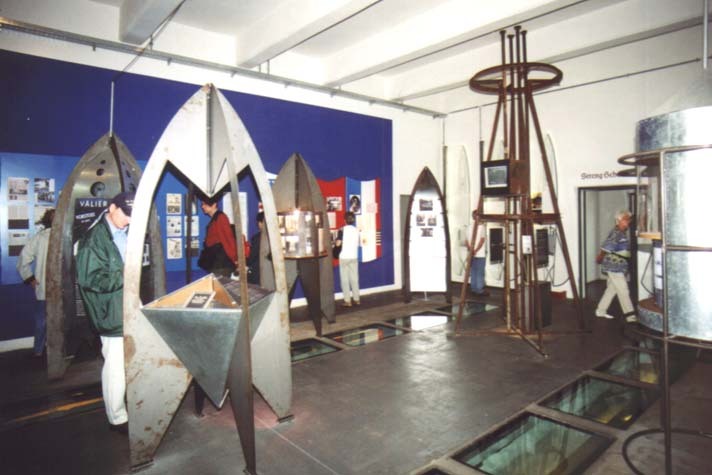 The exhibition is divided into two parts: The first section "The Ends of the Parable" is about the secret weapons development in Peenemünde and the early rocket development in Germany. 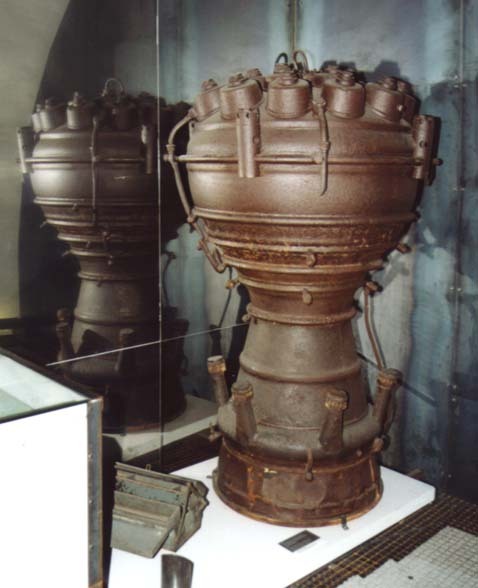 The second section "Peenemünde's Legacy" shows how the victorious powers used the captured rocket knowledge, and deals with the rocket development and the history of space flight after the second world war. 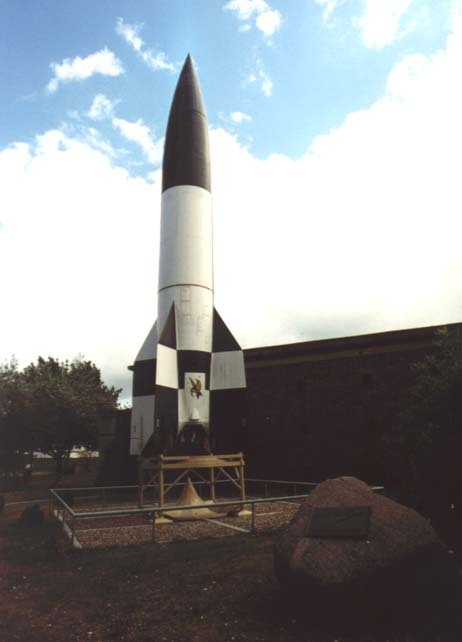 The rocket is 14 m high and 1,65 m in diameter. The flying bomb V1, Fieseler Fi103 "Kirschkern"
The two-story building part in the background houses the museum's exhibition today. 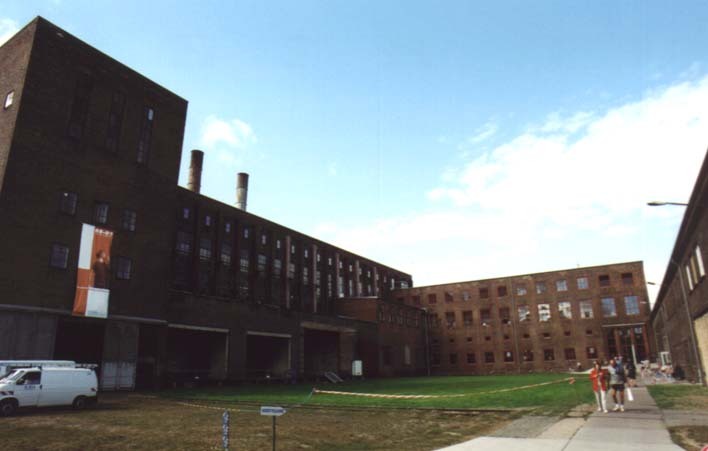 The power plant was built from 1939 to 1942 and produced a total of 30,000 kW of energy with two turbo generators, which for the most part was used by the oxygen plant and the wind tunnel. The power plant consumed 150,000 tons of hard coal, brown coal and brown coal dust per year. 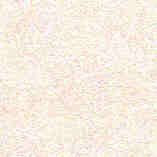 It was still used until 1990. 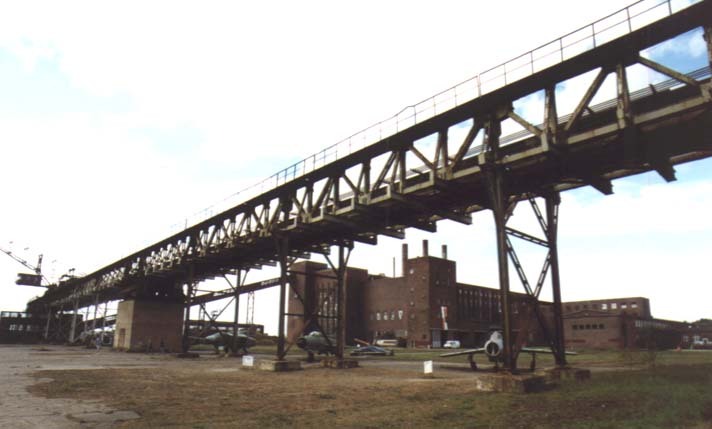 The crane bridge was built in 1942 to unload the coal ships for coaling the power plant. 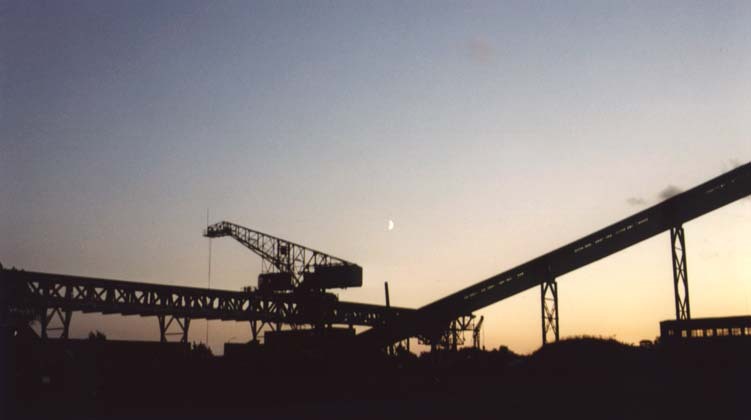 Between 1942 and 1991 about 4,500,000 tons of coal were moved with this crane. Under the bridge some fighter planes of the former GDR air force. Engine and payload tops of the A4 rocket.